Baking shortbread is breeze. It is probably the easiest biscuit to make - flour, butter, sugar, a pinch of salt, and vanilla is all it takes. 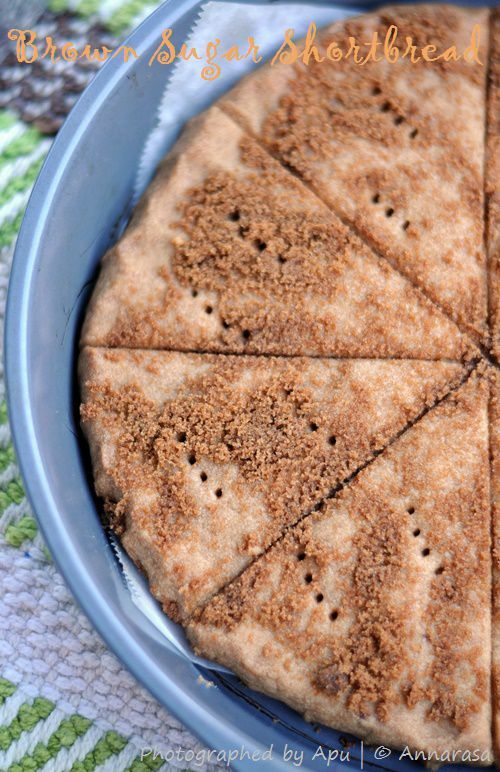 Today I am sharing my favorite brown sugar shortbread with you. This particular recipe is particularly good as the sugar topping makes it really really special. It gives an added crunch and is perfect for enjoying with a special tea or sharing with friends. Stir in the vanilla extract and salt. Now combine with the flour. Press the mix into a prepared baking pan. Sprinkle with the demerara sugar. I used brown sugar here as I had run out of demerara sugar. It worked well. Using a knife or pizza cutter, divide into 8 wedges. Remove from oven and cool completely before separating the wedges. wow brown sugar short bread is really a healthy and interesting one :) perfectly done dear ! !